Your pug has stolen your heart with his charming, affectionate, and mischievous personality. You'll see even more wrinkles on his forehead if he doesn't get his own personalized Christmas ornament this year. 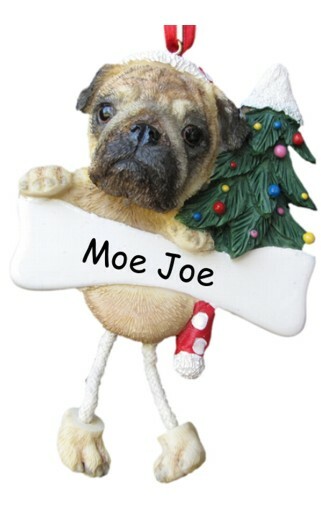 This pug ornament has dangling legs and will be personalized on the banner.